Cisco Unified IP phones provide exceptional levels of integrated business functionality and converged communications features, surpassing today’s conventional voice systems and competitive offerings. As the market leader in IP telephony, Cisco continues to deliver comprehensive end-to-end data and true voice-over-IP (VoIP) solutions, offering a complete, stylish and fully featured IP phone portfolio for enterprise and small- and midsized-business (SMB) customers. 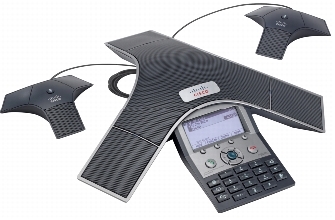 The Cisco Unified IP Conference Station 7937G combines state-of-the-art wideband speakerphone conferencing technologies with award-winning Cisco voice communication technologies. The net result is a conference room phone that offers superior wideband voice and microphone quality, with simplified wiring and administrative cost benefits. A full-featured, IP-based, hands-free conference station, the new Cisco Unified IP Conference Station 7937G is designed for use on desktops, in conference rooms, and in executive suites. CiscoUnified Communications Solutions unify voice, video, data, and mobile applications on fixed and mobile networks, delivering a media-rich collaboration experience across business, government agency, and institutional workspaces. These applications use the network as the platform to enhance comparative advantage by accelerating decision time and reducing transaction time. 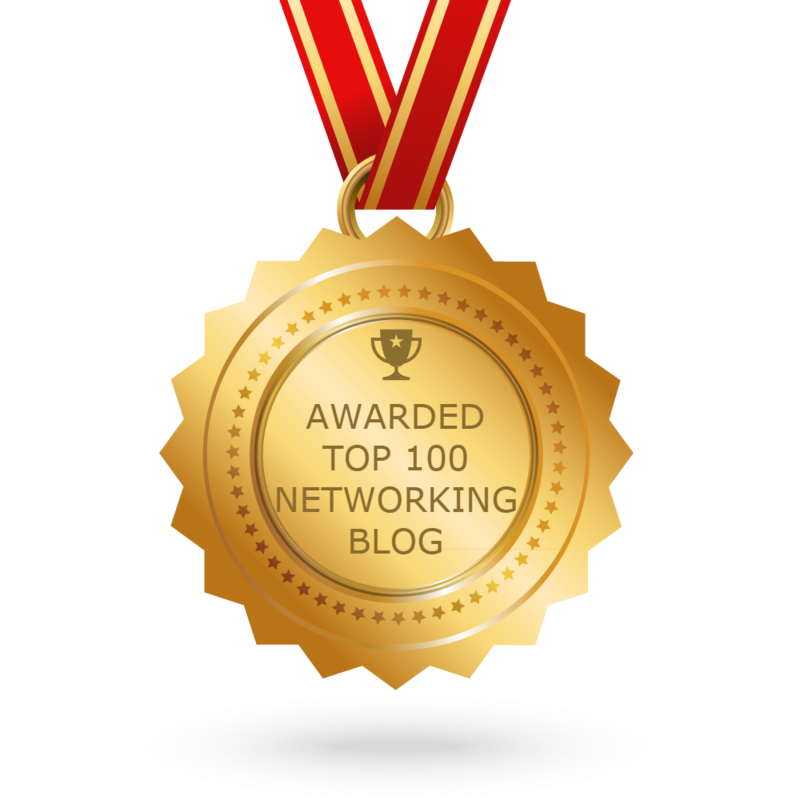 The security, resilience, and scalability of the network enable users in any workspace to easily connect anywhere, anytime, and anyplace, using any media, device, or operating system. Cisco Unified Communications is part of a comprehensive solution that includes network infrastructure, security, wireless, management applications, lifecycle services, flexible deployment and outsourced management options, and third-party applications. 1 Connect one end of the external microphone cable to the jack on the underside of the external microphone. 2 Connect the other end of the external microphone cable to the external microphone jack on the underside of the Cisco Unified IP Conference Station 7936. Step1. Place the Cisco Unified IP Conference Station on a flat surface, for example, a conference room table or desktop. Step2. Connect one end of the 6-foot CAT 5 cable to your data network port and connect the other end to the network (LAN) port on the PIM. Step4. Connect the power supply unit to the AC adapter port on the PIM, and plug the other end into a standard electrical power outlet in the wall. Step5. 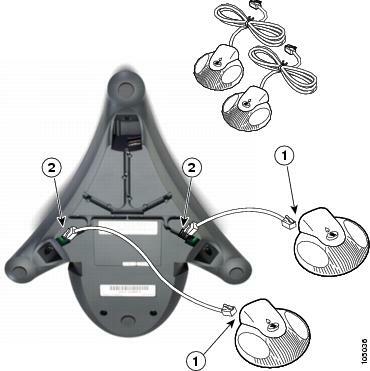 If you are using the External Microphone Kit, connect each of the microphone extensions to the microphone jacks installed on the underside of the Cisco Unified IP Phone 7936. 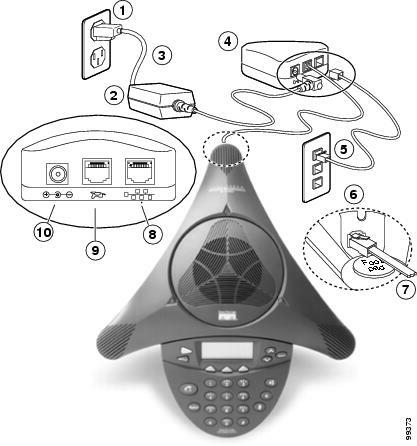 See Figure of External Microphone Connections on the Cisco Unified IP Conference Station 7936 for an illustration of this connection. Note: If you do not correctly connect the cables, PIM, and the power supply, the Cisco Unified IP Conference Station will not work. Use of any device other than the Cisco-provided external microphone kit will not work and may void the Cisco Unified IP Conference Station product warranty.